Far from resembling the branch of heaven on Earth, Venezuela has become a country of chaos and collapse . Despite having the largest proven oil reserves things are not going well. 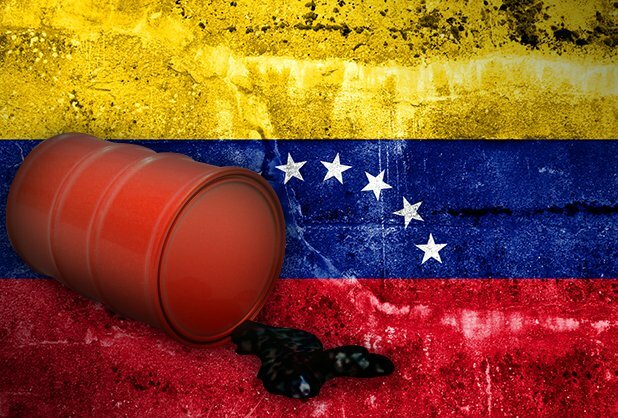 The recent fall in oil prices have severely beaten the Venezuelan economy, to the point that the crisis has spread to all levels. Low, medium and high class live every day what is described by analysts and experts as an "apocalyptic" debacle, with the lack of concrete measures to move towards a stable future to the country. Food, electricity, drinking water and medicines, are some of the sectors that have announced the initiation or development of a recession ends, which will make Venezuelans be surprised 2015 and remember it as a "year of plenty and welfare" . With the passing of time the quality of life of Venezuelans is considerably reduced, this waiting for new calamities that holds the product year of inaction, inefficiency and responsibility of the Government headed by Nicolas Maduro today. Although you think you can not be worse, a number of problems threaten to crash, even against the cruel reality citizens. Several sectors are on high alert and there is little to be done to correct the situation in the short term. El Niño, a climatic phenomenon related to the warming of the eastern equatorial Pacific with cycles of between three and eight years, is today one of the major concerns of the Government. And it is that hasty and urgent action is not taken could collapse electric service in early April and leave without light supply 70% of the country , according warned the Minister of Electric Power and president of Corpoelec, Luis Motta Dominguez . But is it really the fault of El Niño the possibility of a power crisis ?. The central problem is that in Venezuela consumes more electricity than it generates, but also generates less than it could with the installed capacity. Thermoelectric plants that were opened before the Chavez decade have experienced numerous operational setbacks due to lack of maintenance in recent years and the investment of over 4,900 million dollars today become salt and water. As if that were not enough, the hydroelectric power station Simón Bolívar (Guri) is 5.5 meters from collapse . His dam, the world 's fourth largest artificial lake, its volume decreases rapidly product of three factors: mismanagement of water resources, the unavailability of generation in the thermal park and drought. Against this background only it has been issued two measures: reducing days to public workers and cut hours to 12:00 malls ma 7:00 pm. It is estimated that drug shortages is currently 80% ; coupled with the lack of medical equipment maintenance and rapid reproduction of epidemics, 2016 does not look too favorable to the country on this issue. Shortages of medicines and medical equipment, as well as the deterioration of public hospitals, has jeopardized the health of Venezuelans, including many who have paid with their lives. Although the National Executive said the nation has the highest per capita consumption of drugs, get a box of acetaminophen has become an ordeal, this give a simple example alone. The case is worse in patients with chronic illness. 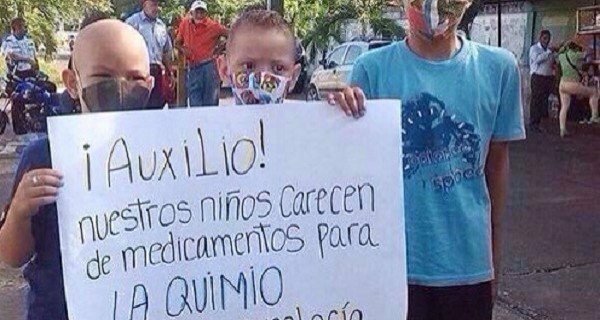 At least 16 active ingredients of the 26 most important drugs to treat cancer patients in short supply on the shelves of the country and every day are more frequent public service announcements on social networks Venezuelan. 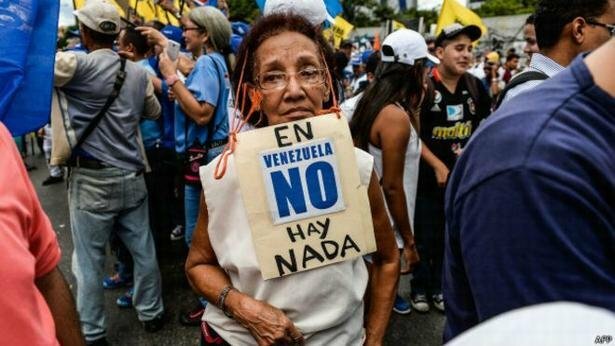 For its part, the National Assembly in last January declared a humanitarian emergency in this area and triggered an initiative so that Venezuela can access the Revolving-Strategic Fund Medicines of the World Health Organization (WHO), which provides drugs subsidized emergency situations. However the measure was overlooked and the National Executive has refused to request access to the fund , only requirement to activate this plan. Meanwhile, medical organizations, associations, production companies and distribution of medicines await the Government declares health emergency and debts to suppliers are canceled, leading the latter factor responsible for the shortage. The desolate images of the main ports of the country and the constant looting, yielding a diagnosis of how will the next 366 days . Over the week, the queues for food supply Venezuelan refrigerators are getting worse. 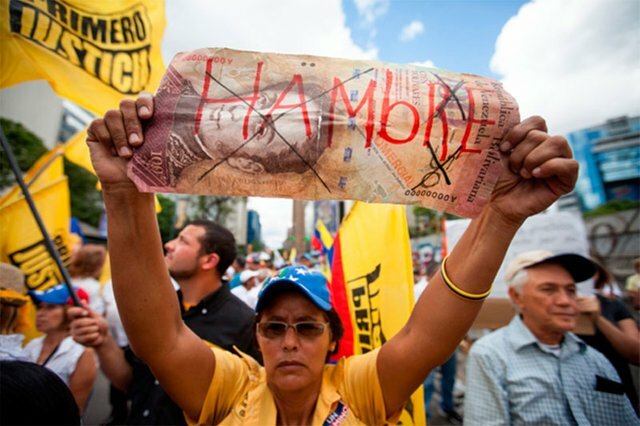 Product of the innumerable controls, including price fixing them below market value, Venezuela dragged on for years an acute and ever increasing food shortages, according to various surveys, it is between 50 and 60% commodity. Meanwhile, entrepreneurs agree that accumulating debt with suppliers abroad for unliquidated imports is the main obstacle facing to normalize production and supply. So far the situation for entrepreneurs and producers remains the same, as companies have hands of the state, 293 in total, have not increased their production capacity and the government requires private broadcasters to ship between 30 and 100% networks Mercal, Pdval and Bicentennial. 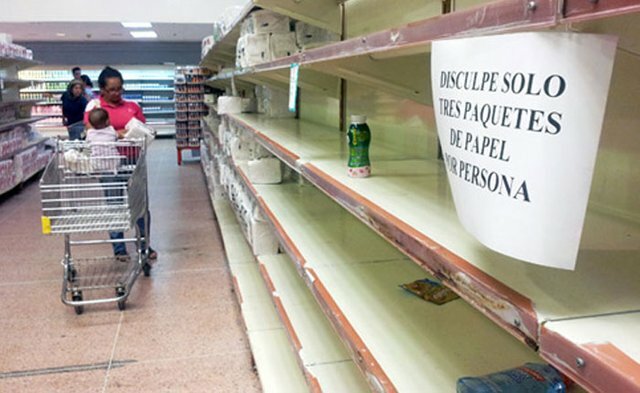 The various business groups estimate that food shortages in Venezuela is between 50% and 80%, depending on the items, blaming the Government of the gravity of this situation for its high share in the installed national production capacity. Such is the case of coffee, where 70% of the processors are in your hands . For other examples, the state is 50% percent of the installed spray milk capacity, 55% of the installed capacity for the production of precooked corn flour and 10 of the 16 sugar mills in the country capacity owner, and produces only 20 percent while 6 private produce 80 per cent. The economic situation is extremely serious. Economic indicators are alarming and international firms say that Venezuela is on verge of a default. According to figures from the Central Bank of Venezuela ended 2015 with inflation of 180%, the highest in the world, and the projection for this year is higher . As the fiscal deficit is placed in double digits for the fifth consecutive year and inorganic printing currency accelerated in early 2016, with the arrival of two planeloads bills Bs. 100. Meanwhile, gross domestic product fell 7.1% and is expected to fall at least 7 points in the next 12 months. The picture is the same for international reserves closed the week at US $ 13,501 million (USD), its lowest point in 17 years. To this is added the highest capital flight in the world despite the tax change control since 2003, the recent devaluation of the currency and the increase of 600% gasoline. Upon completion of 17 years of an oil rentier economic model, with few changes and many restrictions, in 2016 Venezuela will pay 9,500 million dollars between maturities and interest on foreign debt, which represents more than half of its reserves. 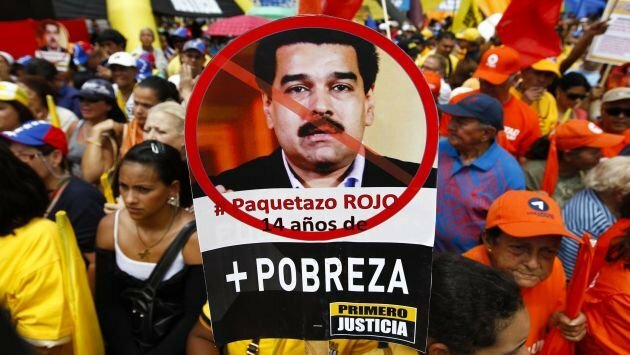 All this only as open mouths after the precarious economic measures and the state of emergency announced by Nicolas Maduro, after losing the parliamentary elections on December 6. Dios Bendiga mi amada tierra en estos días tan duro. VENDRAN TIEMPOS MEJORES HERMANOS !